“Dang. 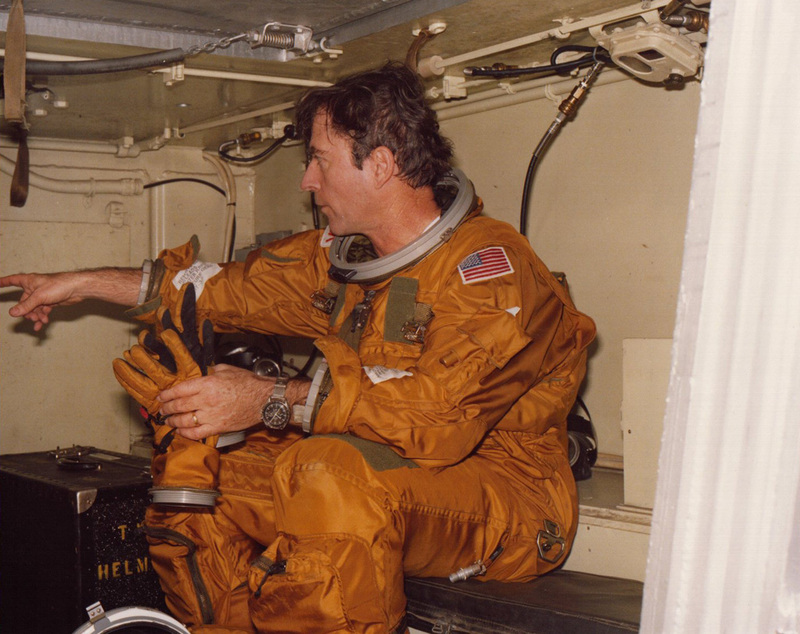 NASA is messin’ up mah hair.” Super-tousled John from 1981 in early shuttle-era pressure suit. 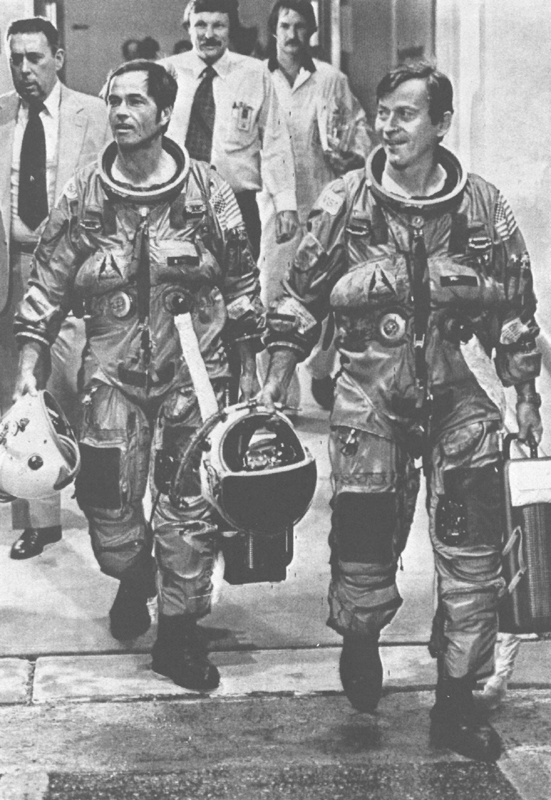 NASA photo. “Now ah am a painting. Aw shucks.” “When Thoughts Turn Inward,” 1982. Painting by Henry Casselli. “Now ah am an inaction figure. 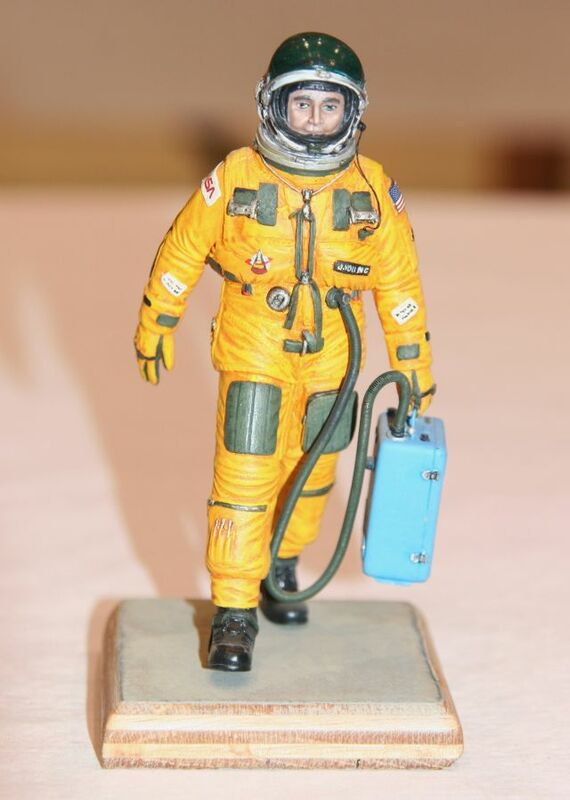 Aw shucks.” John in full STS-1 regalia as a painted figurine. “Dang. 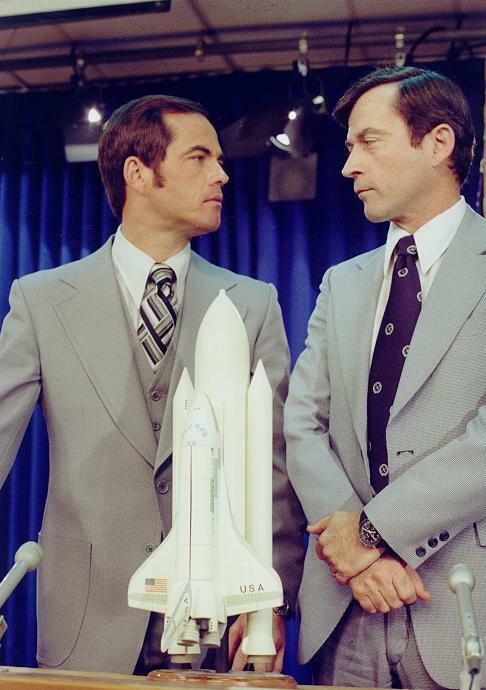 Ah think Bob is really tan.” STS-1 pilot Bob Crippen and John at a press conference, 1978. “Imma gonna fly the hell out of this shuttle rascal.” Crippen and Young swagger their way into spaceflight history, April 12, 1981. 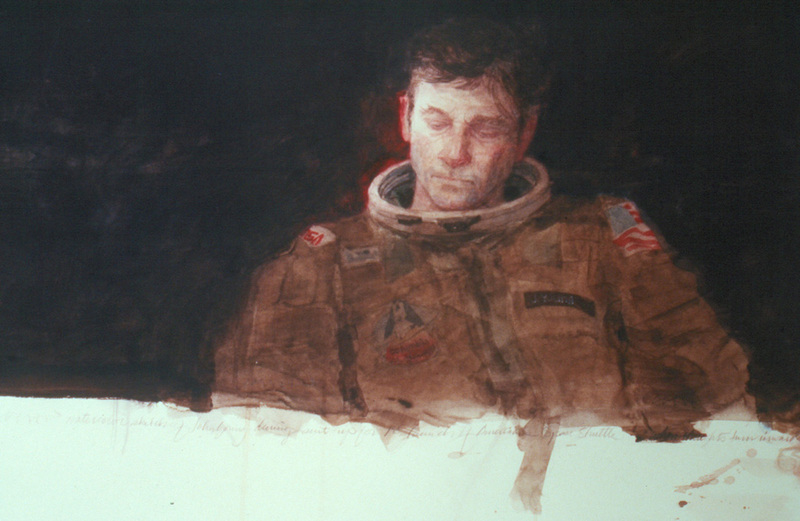 All photos (save for painted figurine) courtesy of NASA; painting by Henry Casselli.